A prominent member of the Anonymous community has quit the collective and taken at least 2 dozen hackers with him. Last week we reported that a rogue Anonymous member - known as "Ryan" - had taken control of some of the hacker collective's servers that host the IRC channels, which make up the bulk of the group's communications. Last we heard, the core group of hackers - which is as close to a "leadership" that Anonymous has - was attempting to regain control of the IRC channels and a 800k PC strong botnet used to make DDoS attacks. There is no word on how successful they have been, but we're starting to see some fallout from the infighting. Barrett Brown, sometimes called a "spokesman" for Anonymous, publicly stated that he is no longer a part of the group and that he is forming a splinter group to continue work on exposing "criminality and corruption" within U.S. government and institutions. The feud between "Ryan" and the rest of Anonymous was a big reason for Brown's departure. "I'm tired of the drama," Brown said. "You've got kids fighting for control of an IRC channel. I'm a researcher. I'm into revolutionary stuff. But there are other people for whom its about exerting power." Barrett Brown began his work with Anonymous as a journalist, reporting on the group's activities in a positive light for the Huffington Post. He went on to give interviews about Anonymous and write press releases for its various activities. Brown was then called by some to be a spokesman for the group, which he denied stating that there was no official leadership. Now, it appears that Brown has grown tired of his association with Anonymous and will now focus on his group Project PM whose stated goals are to "improve the distribution of accurate and informative news, couple journalists with scientists in order to make useful information more readily available to the masses, and to help develop undeveloped regions of Africa with as much efficiency as attainable." Perhaps Brown wanted Anonymous to be a more important force than it actually was. The group's support of WikiLeaks and the attack on security firm HB Gary may have seemed like justice, but Anonymous is just as much about "lolz" like protesting snow, or shutting down Gene Simmons as it is about enforcing political freedoms. 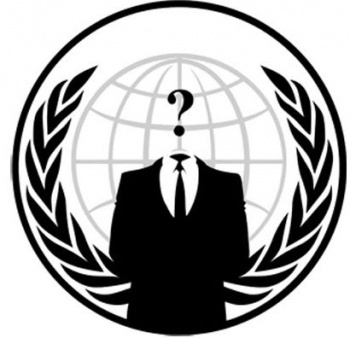 The events of the last month or so leaves me wondering where will Anonymous go now. The attacks on Sony, even though Anonymous has denied involvement, still seem rather suspicious given their support of GeoHot and his lawsuit defense. Was the theft of personal information and the PSN outage the work of a similar splinter group of Anonymous, who wants to remain even more anonymous?